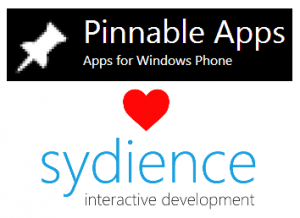 We’re please to announce that Adam from Pinnable Apps is joining us to form the new Sydience team. Both based in Sydney, Australia. Adam and Kris will be working together under the Sydience brand, continuing to develop high quality mobile apps for Windows Phone. With some new apps already under development, watch this space to see the fruits of this new partnership.